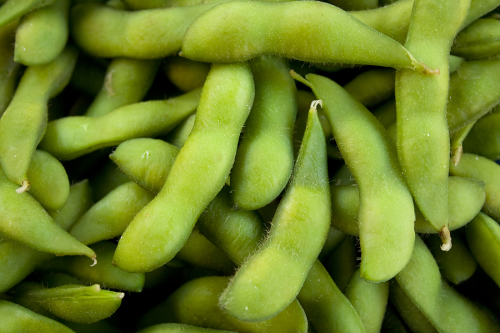 16/03/12 -- Soybeans: May 12 Soybeans closed at USD13.74, up 5 cents; Nov 12 Soybeans closed at USD13.28 1/4, up 2 cents; May 12 Soybean Meal closed at USD374.40, up USD3.00; May 12 Soybean Oil closed at 55.50, up 2 pips. On the week as a whole front month beans gained 42 1/4 cents, meal added USD15.80 and oil 155 points. Funds were said to have bought around 7,000 soybean contracts on the day propelling the May contract to closed higher for 8 out of the last 9 weeks. Large funds added almost 17,000 contracts to their net long position for the week through to Tuesday, according to today's commitment of traders report. Trade estimates have them putting on another 17,000 since then. Yesterday's strong export sales report has the trade feeling that US ending stocks will probably be tighter than the USDA currently estimate. Corn: May 12 Corn closed at USD6.73, up 4 cents; Dec 12 Corn closed at USD5.74 1/4, up 2 cents. On the week May 12 was up 19 cents and Dec 12 up 11 3/4 cents. Funds were said to have bought 7,000 contracts on the day, which would equate to around 28,000 on the week. Chinese corn stocks are substantially lower than official estimates, that is what suddenly has the trade abuzz, despite the fact that this notion has been around for years. The state-run agency Sinograin said this week that they had only bought 1.2 MMT of corn for government coffers compared to the 11.0 MMT it had procured this time last year. A curious announcement to make if you are in the market to buy corn, but there we have it. Domestic prices there are at record levels and far above the cost of imports. Even so there have been no confirmed sales of US corn to China this week, only 240,000 MT to "unknown". Wheat: May 12 CBOT Wheat closed at USD6.72, up 7 1/4 cents; May 12 KCBT Wheat closed at USD7.05 1/2, up 1 cent; May 12 MGEX Wheat closed at USD8.22 3/4, up 2 1/2 cents. On the week overall Chicago wheat was 33 1/4 cents higher, Kansas up 26 cents, with Minneapolis adding 21 cents. Sharply higher than normal temperatures has winter wheat in the US emerging from dormancy early, leaving it vulnerable to a potential freeze in April. Allendale project the US wheat acreage for 2012 at 56.61 million, significantly lower than the USDA’s suggested 58 million, although still around 2.2 million higher than last year. A month or two ago, before corn and soybean prices started to spike other private estimates had been suggesting wheat plantings in the region of 58.5-59.2 million acres. The concern is clearly of spring wheat losing out primarily to corn, aided by the potential for early plantings. 16/03/12 -- EU grains finished mixed with both Mar 12 London wheat and May 12 up GBP0.50/tonne to GBP172.50/tonne and May 12 Paris wheat down EUR0.50/tonne to EUR213.75/tonne. On the week overall front month Mar 12 London wheat added GBP6.50/tonne and May 12 Paris wheat EUR5.00/tonne. London is clearly punching above it's weight with May 12 now the equivalent of EUR207.00/tonne. Consumer buyers are thought to only have modest coverage down for the Apr/Jun position, but still seem fairly relaxed about that. Long holders feel that they hold the balance of power, although I seem to recall a similar situation this time last year. A quick look at the charts shows London wheat topping out at GBP217.50/tonne on Apr 20 in 2011 as far as a closing price was concerned. 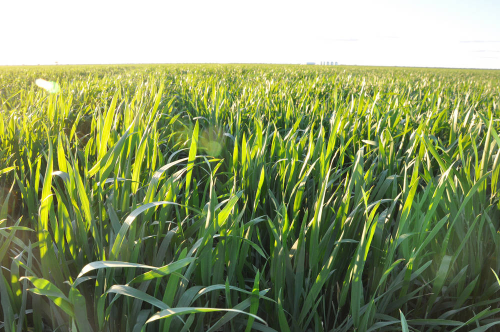 By Jun 27, little over two months later front month Jul 11 was closing at GBP155.00/tonne, and this was in the face of a drought that had many predicting 25% yield losses. Once again we appear to have another drought on our hands. Will this one be worse than last year, especially as it is a second time around drought? Only time will tell. 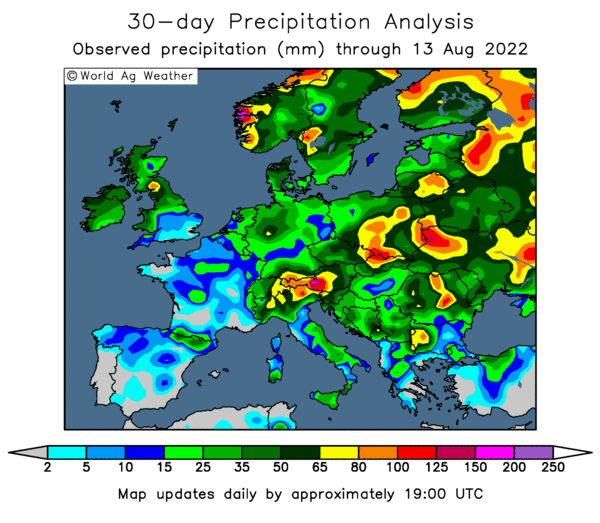 There's some rain in the forecast for northern and western areas of the UK on Saturday, pushing into the south east and across the Channel into France, Germany and the low countries on Sunday. A soaking downpour however this rain event isn't said to be. As things stand, Strategie Grains earlier in the week left their yield estimates unchanged from a month ago on an EU-wide basis at 5.8 and 4.4 tonnes per hectare respectively for soft wheat and barley. 16/03/12 -- Rapemeal prices on the continent are higher again following sharp gains in Chicago soymeal last night. Nearby tightness continues on old crop as producers scale down their crush aspirations due, they say, to poor margins. 15/03/12 -- Soybeans: May 12 Soybeans closed at USD13.69, up 18 3/4 cents; Nov 12 Soybeans closed at USD13.26 1/4, up 15 1/4 cents; May 12 Soybean Meal closed at USD371.40, up USD4.20; May 12 Soybean Oil closed at 55.48, up 68 point. Weekly export sales for both old and new crop came in at an impressive 1.4 MMT, well above expectations for sales of 650 to 900 thousand MT. Insatiable China took 368,200 MT of the old crop and almost all of the new crop. Funds bought an estimated 7,000 soybean contracts on the day as a weaker dollar added to the bullish tone. The soybean market remains heavily overbought and therefore vulnerable to a shake-out at some point, but how much higher might we go first? Corn: May 12 Corn closed at USD6.69, up 10 1/4 cents; Dec 12 Corn closed at USD5.72 1/4, up 8 1/4 cents. Funds were said to have bought 11,000 contracts on the day. Spillover support came from the other pits, with beans and wheat both sharply higher. Weekly export sales were 836,400 MT, all of old crop, at the top end of trade estimates for sales of 600 to 850 thousand MT. That's well above what is needed to match the USDA's 2011/12 export target suggesting that ending stocks may in fact finish up being considerably tighter than they currently project. The Rosario Grain Exchange lowered it's Argentine corn production to 20.8 MMT from 21.3 MMT, harvesting there is said to be around 12% complete. Wheat: May 12 CBOT Wheat closed at USD6.64 3/4, up 21 cents; May 12 KCBT Wheat closed at USD7.04 1/2, up 23 1/2 cents; May 12 MGEX Wheat closed at USD8.20 1/4, up 13 3/4 cents. For wheat, export sales were a disappointment at 302,400 MT of old crop and 57,900 MT of new crop. Trade estimates were for sales of 400 to 600 TMT. Weekly shipments however were a marketing year high at 913,000 MT. In amongst the weekly sales was one to Spain where the ongoing drought is causing concern. Egypt bought one cargo each of Canadian and US wheat. Iraq just bought Canadian wheat. The fund short in Chicago wheat still exists but should have been trimmed further today. 15/03/12 -- EU grains finished higher with front month Mar 12 London wheat up a nominal GBP3.50/tonne to GBP172.00/tonne although the position didn't actually trade all day. May 12 was up GBP1.50/tonne to GBP172.00/tonne. May 12 Paris wheat ended EUR3.50/tonne higher at EUR214.25/tonne. This was the highest close for a front month for London wheat since early September as EU wheat followed US grains higher. Strategie Grains reduced their estimate for EU soft wheat production this year by 1.6 MMT from last month to 131.1 MMT. Durum output was also cut by 400,000 MT to 8.4 MMT. Even so an all wheat crop of 139.5 MMT would still be around 2 MMT more than last year. This year's barley crop was also trimmed 1.2 MMT to 53.4 MMT, again that still represents a slightly better performance than a year ago when we had a crop of 52.1 MMT. Winterkill losses, particularly in France, and drought losses in Spain are behind the cuts. In contrast corn production potential was raised 2 MMT to 64.6 MMT on ideas that failed winter crops are most likely to be replanted with corn this spring. Despite a huge freight advantage French wheat was overlooked in a tender by Egypt today who booked on cargo each of Canadian and US wheat for May shipment. Argentine and Ukraine wheat was also offered but passed on. 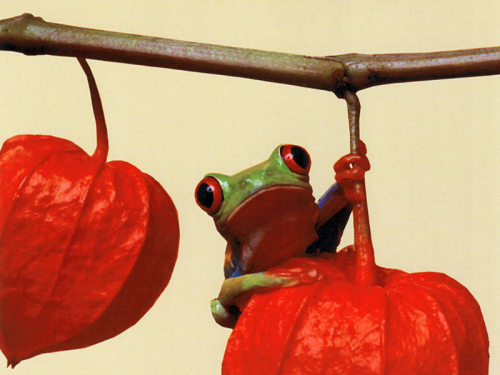 French offers were around USD26/28 more expensive than the winning bids. Brussels issued soft wheat export licences for 426 TMT this past week, bringing the 2011/12 marketing year-to-date total to 9.8 MMT, 33% down on where we were a year ago. The Ukraine Ministry said that grain stocks there as of March 1st were 69% higher than a year ago at 21 MMT. Of that 8.1 MMT was wheat, around half of which looks like getting carried into 2012/13 as "insurance" against sharply lower production this season. Corn output on the other hand could be a record for the second year running if weather conditions are conducive across the summer. 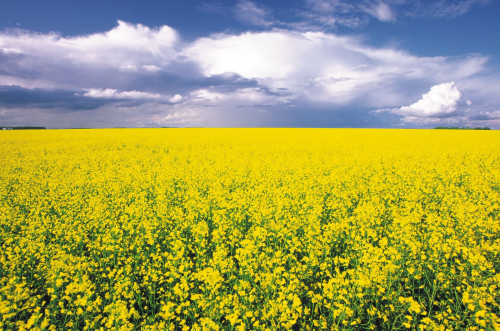 15/03/12 -- Rapemeal prices on the continent remain steady, with nearby tightness in availability continuing. May/Jul gains a little on Apr today. New crop shows little change. 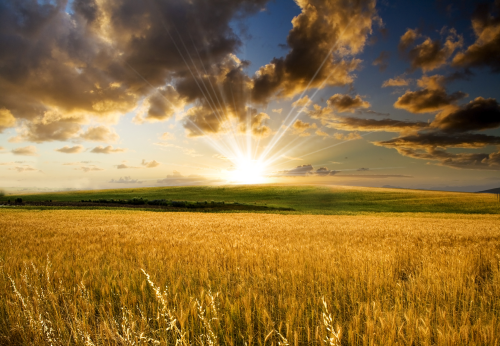 15/03/12 -- The overnight grains ended with beans around 10-12 cents firmer, corn up 3-5 cents and wheat 2-4 cents higher. WTI crude is down 30 cents or so and Brent is down almost a dollar. Soybeans are back in the driving seat after a couple of days rest Friday/Monday. The USDA have reported weekly soybean sales of 609,700 MT for old crop and 784,000 MT for new crop, giving us a combined total of an impressive almost 1.4 MMT, once again that's well above expectations of 650 to 900 thousand MT. Omnipresent China took 368,200 MT of the old crop and almost all of the new crop (669,000 MT). Corn sales were 836,400 MT, all of old crop, at the top end of trade estimates for sales of 600 to 850 thousand MT. Wheat sales were slack at 302,400 MT of old crop and 57,900 MT of new crop. Trade estimates were for sales of 400 to 600 TMT. Weekly shipments of 913,000 MT however were a marketing-year high and well above what we have seen of late. Strategie Grains have cut their EU-27 2012 wheat and barley production estimates due to winterkill in France and Germany and drought in Spain. Corn production looks set to benefit on the back of increased plantings with output raised 2 MMT. Agroconsult have cut their 2011/12 Brazilian soybean crop estimate by 2.8 MMT to 67.1 MMT. US ethanol production fell by 14,000 barrels/day last week to 892,000 bpd. That's the first time in six months that output has been lower than the same week a year previously. Signs that the removal of the tax credit is finally starting to bite? In China, corn futures on the Dalian exchange have jumped to new highs overnight. Egypt have bought one cargo each of Canadian and US wheat for May delivery. Early calls for this afternoon's CBOT session: corn up 3-5 cents, beans up 10-12 cents, wheat up 2-4 cents. 15/03/12 -- Blimey, are we really halfway through March already! It will soon be my birthday which will involve the traditional Saturday afternoon on the lash followed by a curry. I know what MrsN#3 has got me and I'm starting to think I know what I am going to get myself. Is it a coincidence that Apple decide to introduce the new iPad a week before my birthday? I think not. The overnight markets are firmer with beans up around 12 cents, corn up 3-5 cents and wheat following meekly along up 2-3 cents. Strategie Grains have cut their EU-27 soft wheat production forecast by 1.6 MMT to 131.1 MMT citing winterkill and the ongoing Spanish drought. Durum wheat output is also lowered 400 TMT to 8.4 MMT, giving us an all wheat crop of 139.5 MMT, which would still be around 2 MMT more than last year. Barley production potential is also cut by 1.2 MMT to 53.4 MMT, although that is still 1.3 MMT higher than in 2011. Winter damage is seen boosting corn plantings for which they raised their 2012 production estimate by 2.0 MMT to 64.6 MMT, now little changed from output in 2011. The Ukraine Ministry say that despite exports bring up 68.5% on last year grain stocks in the country as of March 1st are 69% higher than a year ago at 21 MMT. That includes 9.7 MMT of corn and 8.1 MMT of wheat. "Argentina keeps getting hit with strong thunderstorms and heavy rainfall in the grain belt. Waves of showers keep coming to corn and soybean growing areas. The floodgates opened in February with 150-200% of normal rainfall. South Brazil continues dry. This is causing undue stress on maturing soybeans. Soybean and Corn Advisor Michael Cordonnier has lowered his Brazil soybean estimate to 67 million metric tons from worsening drought in southern soybean states Rio Grande do Sul, Parana and Mato Grosso do Sul," say Martell Crop Projections. May London wheat has come in GBP1.50/tonne higher this morning at GBP172.00/tonne. 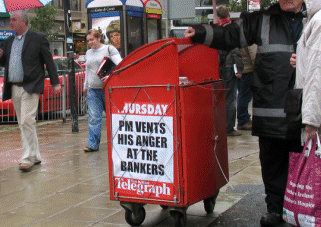 Fitch Ratings have revised the outlook on the UK's triple-A credit rating to "negative" from "stable". It would potentially save a lot of time and money if these guys could put a rating on your Missus before you get hitched wouldn't it? "S&P's have downgraded the future MrsN#1 to junk status." That sort of thing. My Dad always used to cast a critical eye over my girlfriends when I took them home in the early days. In fact when I first went home with MrsN#1 he said "I've got to say son, I think this one's a keeper." I said "thanks Dad, why do you say that?" "Because she smells like she works in a zoo," he replied. 14/03/12 -- Soybeans: Mar 12 Soybeans closed at USD13.56, up 7 1/4 cents; Nov 12 Soybeans closed at USD13.11, down 1/2 cent; Mar 12 Soybean Meal closed at USD362.00, down USD1.80; Mar 12 Soybean Oil closed at 54.51, down 1 point. The February NOPA crush was 136.35 million bushels, down 6.463 million from a month ago but up 11.466 million from a year ago and above expectations. Funds were said to have been net buyers of around 3,000 soybean contracts on the day. Trade estimates for tomorrow’s weekly export sales range from 650 to 900 thousand MT. Corn: Mar 12 Corn closed at USD6.69 1/2, down 4 1/2 cents; Dec 12 Corn closed at USD5.64, down 3 1/2 cents. Funds were said to have been net sellers of around 6,000 contracts on the day. Apart from Tuesday's 240,000 MT of US corn sold to "unknown" there have been no further announcements of sales to either unknown or China this week. Tomorrow's weekly export sales are expected to be in the range of 600 and 850 thousand MT. The IGC sees the 2012/13 world corn crop at a record 880 MMT, from 864 MMT in 2011/12. Global consumption however is also seen rising to 884 MMT from 871 MMT. Wheat: Mar 12 CBOT wheat closed at USD6.51 3/4, up 1/4 cent; Mar 12 KCBT Wheat closed at USD6.78 1/2, down 6 1/2 cents; Mar 12 MGEX Wheat closed at USD8.10 3/4, unchanged. Wheat continues to play follow the leader. Estimates for tomorrow's weekly export sales range from 400 to 600 thousand MT. The Ukraine Grain Association say that this season's grain exports will reach 22 MMT, the Ministry yesterday said 20-21 MMT compared to an earlier optimistic forecast of 25.4 MMT. US weather is seen as offering some decent moisture chances for winter wheat on the Great Plains whilst also affording some fieldwork progress in northern areas ahead of spring plantings. 14/03/12 -- EU grains finished mixed but mostly higher. Mar 12 London wheat was up GBP2.00/tonne at GBP168.50/tonne, other old crop months were GBP1.50/tonne firmer with new crop mostly up GBP1.00/tonne. May 12 Paris wheat was down EUR0.75/tonne to EUR210.75/tonne. This was the highest close for a front month in London wheat for 27 sessions, yet back then front month Paris wheat was over EUR10.00/tonne higher than it is now at EUR221.50/tonne. In London wheat we have Nov 12 running at a GBP15.50/tonne discount to May 12, in Paris that difference is EUR11.50/tonne (ie around GBP9.50). That suggests that either May 12 London wheat is too dear or Nov 12 is too cheap. With May 12 London feed wheat only around EUR6.00/tonne under it's Parisian milling wheat counterpart it is interesting to note that Nov 12 is around EUR13.00/tonne under. All of the above seems to indicate that old crop UK values are too high. It is interesting to note that yesterday's export figures show UK exports falling by almost a third in January despite the inclusion of a large high profile shipment to the US. That would also seem to lend support to this notion. FranceAgriMer made some minor adjustments to the 2011/12 supply & demand balance sheets there, the most significant of which was probably an increase in corn ending stocks of 0.3 MMT to 2.2 MMT. Wheat ending stocks for 2011/12 are seen at 2.4 MMT, with the barley carryout at 1.1 MMT. The Scottish government said that winter wheat plantings north of the border are down 13.6% on last year at just over 98.6 thousand hectares. 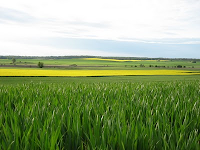 Barley, OSR and oat plantings are also said to be down on last year due to the very wet autumn. Rabobank estimate EU winter wheat losses due to winterkill at "around 1 MMT" which is probably no worse than normal and significantly better than Agritel's estimate of a reduction of 1.9 MMT in France alone. In the US warm and wet is the order of the day for much of the central and southern Great Plains, which should aid winter wheat conditions which are already substantially better than they were at this time last year. 14/03/12 -- Ukraine's Ministry say that they've exported 13.9 MMT of grain so far this season, an impressive 68.5% more than at the same time last year. Last year's record corn crop is flying out of the door like you know what off a shovel, with exports up almost threefold to 8.24 MMT. Wheat exports are up 22.5 % to 3.5 MMT. Barley shipments are 17% lower at 2.0 MMT. The Ukrainian Grain Association say that this season's grain exports will reach 22 MMT, which is down on earlier hopes but 1-2 MMT higher than the latest Ministry estimate. 14/03/12 -- The overnight market sees soybeans modestly higher, up 1-3 cents, with corn 3-5 cents lower and wheat down mostly 2-4 cents. Crude is around half a dollar weaker and the USD is up a tad. 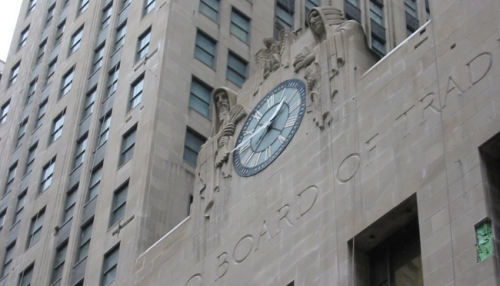 March CBOT contracts go off the board today. 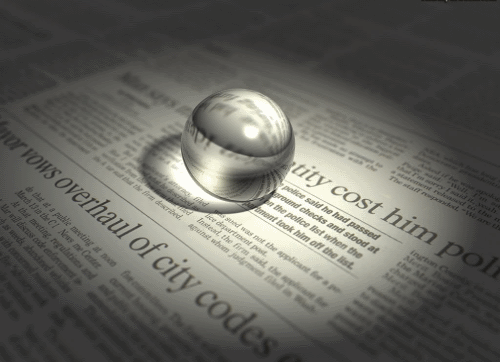 Fresh news is scarce. 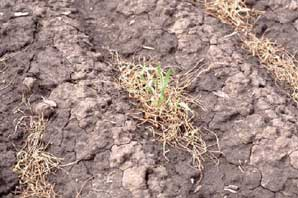 US weather offers an opportunity for early plantings. Not only should this maximise yield potential, it also could mean an early harvest which for corn in particular could be important given the fairly tight carryout situation. It also could mean a repetition of 2010 when the USDA got all mixed up and seemingly included some new crop corn into the old crop carryout, remember that one? Reports on Twitter suggest that a senior IGC economist sees the 2012/13 world corn crop at a record 880 MMT, from 864 MMT in 2011/12. Global consumption however is also seen rising to 884 MMT from 871 MMT with the increase driven mainly by higher feed usage. NOPA's February soybean crush came in at 136.35 million bushels, down 6.463 million from a month ago but up 11.466 million from a year ago and above expectations of 132.6 million. Early calls have beans 1-3 cents firmer, corn down 3-5 cents and wheat down 2-4 cents. 14/03/12 -- Rapemeal prices on the continent are sharply higher for a second day running following gains in Chicago soymeal last night. Old crop months are now EUR12/tonne firmer in just two days. Nearby tightness continues. 14/03/12 -- The latest customs data shows UK wheat exports in January falling to 219 TMT, a drop of almost 33% on December's shipments. Year to date exports are 1.8 MMT. Barley exports were 65 TMT, with a year-to-date total of 521 TMT. Rapeseed shipments slumped to just 3 TMT in January bringing the total for the marketing year so far to 500 TMT. Meanwhile the latest figures out for Scotland appear to show that an even wetter than normal autumn saw reduced winter plantings for wheat, barley, OSR and oats. Scottish farmers face multiple disadvantages to their better looking, non-ginger English brethren including the fact that autumn only lasts for three days up there before winter kicks in. Hence the skirt wearing Picts only managed to get 98,626 hectares of winter wheat into their rain sodden Jock soil last year. That's 13.6% down on last year. 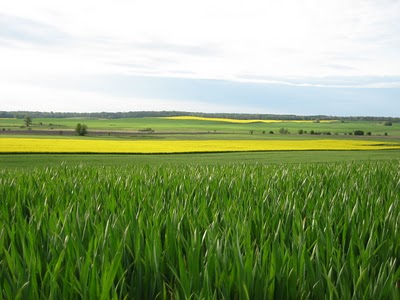 Jock winter barley plantings are said to be down 3.1%, with the winter OSR area down 3.4%. Looks like they're going to be busy busy if and when spring arrives up there. 14/03/12 -- FranceAgriMer have released their latest revised 2011/12 production and stocks estimates today. Last year's soft wheat crop is tweaked down slightly from last month to 33.9 MMT, a 5.1% reduction on the 2010 harvest. Ending stocks are seen virtually unchanged from last month at 2.4 MMT, 17.8% lower than at the end of last season. Corn production in 2011 has been revised up slightly to 15.5 MMT, which represents a 12.3% increase on output in 2010. Exports for the current season have been revised down this month to 6.7 MMT, bringing ending stocks up from the 1.9 MMT estimated last month to 2.2 MMT. Barley output is virtually unchanged from last month at 8.8 MMT, 13.3% lower tnan in 2010, but lower exports see ending stocks rise to 1.1 MMT. 13/03/12 -- Soybeans: Mar 12 Soybeans closed at USD13.48 3/4, up 18 1/4 cents; Nov 12 Soybeans closed at USD13.11 1/2, up 12 cents; Mar 12 Soybean Meal closed at USD363.80, up USD5.40; Mar 12 Soybean Oil closed at 54.52, up 89 points. Beans, meal and oil all closed at their highest levels since September with funds buying an estimated 4,000 soybean contracts in the day. Soybeans have been weak relative to corn and wheat for the past couple of session but had little trouble returning as the strongest leg today. Going forward the fundamentals for beans are the most bullish. Corn: Mar 12 Corn closed at USD6.74, up 2 1/2 cents; Dec 12 Corn closed at USD5.67 1/2, down 1 cent. The USDA announced the sale of 240,000 MT of corn for 2011/12 delivery to unknown. Maybe it was China? If so maybe the trade was disappointed that it wasn't more, or maybe the 26 1/2 cents that corn has rallied since the Chinese rumours emerged on Friday is considered enough for now? Much warmer than normal temperatures across much of the Midwest over the next fortnight will encourage fieldwork, the 2012 crop looks like getting into the ground with a good shot at maximising yields. Wheat: Mar 12 CBOT Wheat closed at USD6.51 1/2, down 1 1/4 cents; Mar 12 KCBT Wheat closed at USD6.85, down 6 1/2 cents; Mar 12 MGEX Wheat closed unchanged at USD8.10 3/4. For wheat there was little in the way of fresh news today. Kazakhstan’s March 1st grain stocks are pegged at 17.83 MMT, a weighty number which will see a large carryover into 2012/13. The Ukraine Ministry lowered their wheat crop estimate by 2 MMT to 14 MMT, a 37% drop on output last year. 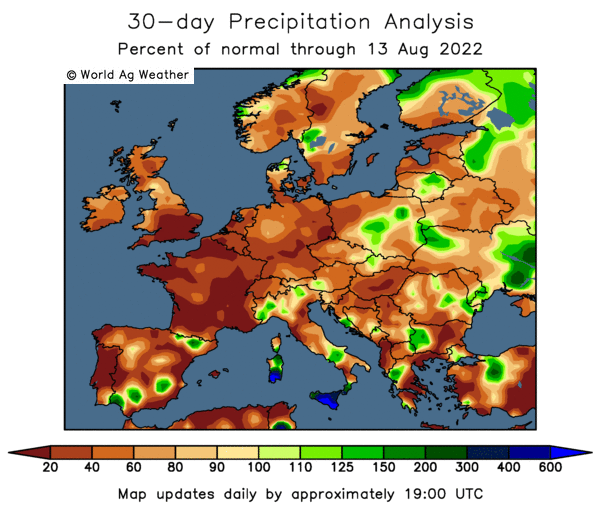 Dryness in parts of Europe, and Morocco too, may harm wheat production there. Recent beneficial rains have boosted the Oklahoma wheat crop condition to 66% good to excellent from 4% from a week ago, with Kansas at 53% good to excellent, up 3% from a week ago. 13/03/12 -- EU grains finished mixed with May 12 London wheat up GBP0.25/tonne to GBP166.50/tonne and May 12 Paris wheat unchanged at EUR211.50/tonne. Prices retreated from early gains in afternoon trade when America opened a bit flat on corn and wheat. Rumours of US corn sales to China over the past couple of days may have been partially confirmed by the USDA reporting the sale of 240,000 MT to "unknown" for 2011/12 shipment. There are also reports circulating that a disappointing Argentine corn crop may lead to some form of export restrictions being introduced in 2012/13. The Argentine government has a long history of tinkering with corn and wheat exports, although they have appeared to have taken a more relaxed approach of late. Drought in Western Europe, and most particularly Spain, is now beginning to attract media interest. December, January and February have been the driest in Spain since at least the 1940s, according to the national weather office. At home seven UK water companies in the south and south east have announced that they are to impose water restrictions after back-to-back unusually dry winters. The Ukraine Ministry dropped their forecast for wheat production there this year by 2 MMT to 14 MMT, a drop of more than a third on last year. UkrAgroConsult estimate output even lower at 13.8 MMT. Asian buyers will be conscious of an Argentine dock workers strike continuing into a 12th day, following on from supply disruptions from the Black Sea due to the recent deep freeze and last year's Russian export ban. Other origins like Europe, the US, Canada and Australia may be looked upon with preference. Liffe/Euronext have today extended the range of months traded for milling wheat and malting barley to 12, meaning that both can now be traded as far forward as Jan 15. The number of corn and rapeseed months traded has also been increased. 13/03/12 -- The overnight grains see beans around 10-12 cents higher, with corn up 2-3 cents and wheat 4-6 cents firmer. Crude is down around 30 cents/barrel. Bang on cue the USDA have reported sales of 240,000 MT of old crop corn to "unknown" destinations, everyone will assume that that means China. Whilst that can't really be construed as bearish it may be worth considering that we've already seen corn add 26 1/2 cents since Thursday's close on the back of strong rumours of Chinese buying. Chinese domestic corn prices are apparently not far off being USD10/bu, with soybean levels running at double that, so you can see why imports look attractive. Farmers in the Midwest will be itching to get planting, with Chicago set to get mid and upper 70-degree readings over much of the coming week as temperatures rise way above normal. 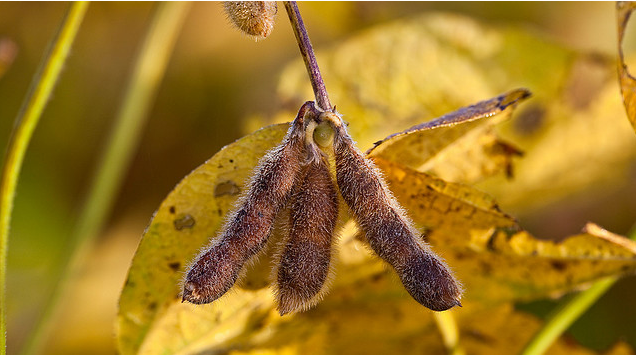 Oil World peg the Brazilian soybean crop at 68 MMT, half a million below the figure that the USDA released on Friday. The Ukraine Ag Ministry have cut their 2012 wheat crop estimate from 16 MMT to 14 MMT, a drop of more than a third on last year's crop of 22 MMT. The US, Japan and the European Union have filed a case against China with the WTO, challenging its restrictions on rare earth exports, reports the BBC. Interesting development, could be seen as potentially bearish as it may switch demand for corn and beans away from the US to South America. On the other hand would China want to get involved in a trade war and cut off it's nose to spite it's face? Drought in Western Europe, particularly Spain is starting to make the headlines. December, January and February have been the driest in Spain since at least the 1940s, according to the national weather office. Farmers in Aragon, one of the worst hit regions, will lose around EUR1.3 billion this season due to the lack of rain, according to the farmers association ASAJA. 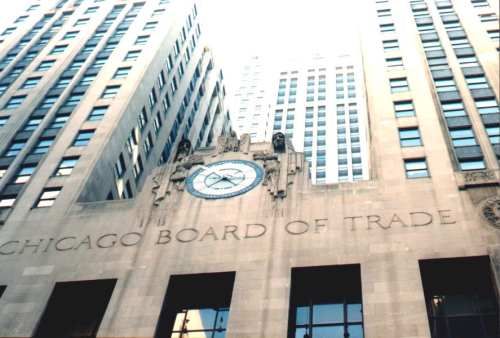 Early calls for this afternoon's CBOT session: Beans 10 to 12 cents higher, corn up 2 to 4 cents and wheat 3 to 5 cents firmer. 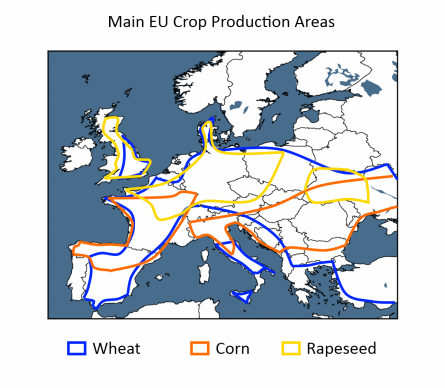 13/03/12 -- Rapemeal prices on the continent remain fully steady, for nearby in particular with March not offered and the remaining old crop positions EUR6.00/tonne higher. 13/03/12 -- The market has an interesting feel to it at the moment. Grains are fully steady, there are plenty of reports of China buying corn and/or having substantially lower stocks than the official numbers suggest. (The Chinese lying? I couldn't possibly believe that one). Are we about to see wide scale Chinese buying? Have they already been buying heavily under the table? We can all guess what would happen if that proves to be the case. The Argies are reckoned to have already sold 5 MMT of their new crop soybeans, with the vast majority of that (4.5 MMT) being Chinese business. They are also said to have sold 7 MMT of their yet to be harvested corn to unconfirmed destinations. Chinese corn prices on the Dalian Exchange are said to be pushing the equivalent of USD10/bushel. Agrimoney report this morning that domestic cash prices "have topped 2,500 yuan (USD400) a tonne, compared with USD325 a tonne for imports from the US, freight included." World corn stocks are said to be around 125 MMT, with a little bit less than half of that total supposed to be in China. It does therefore seem more than a little odd that domestic prices are so high in the country that holds almost half the corn stocks in the world does it not? With almost 60 MMT on their hands you'd have thought that whoever is sitting on it (the government can't own much of it or they'd be auctioning it off) would be tempted by the highest corn prices in the world wouldn't you? I mean at the end of the day it's "only" corn. It would seem that it's "only" corn that the Chinese haven't got though. Still, never mind they've no doubt got another record crop on the way this year, just like they always do. Whilst we're on the subject does anyone else find it just a bit odd how despite having a monster consumption figure of 191 MMT in 2011/12, the USDA just managed to top that with a Chinese production figure a squeak higher at 191.75 MMT? Consumption in 2010/11 was "only" 176 MMT. Guess what production was? That's right 177 MMT! 12/03/12 -- Soybeans: Mar 12 Soybeans closed at USD13.30 1/2, down 1 1/4 cent; Nov 12 Soybeans closed at USD12.99 1/2,down 5 3/4 cents; Mar 12 Soybean Meal closed at USD358.40, down USD0.20; Mar 12 Soybean Oil closed at USD53.63, down 32 points. Funds sold an estimated 3,000 of their heavily overbought soybean position on the day. China unveiled it's largest trade deficit in at least a decade last month, which didn't help ease fears of slumping growth hurting demand for crude. To add to the jitters customs data shows that China imported 3.83 MMT of soybeans in February, down 17% from the 4.61 MMT brought in in January. Corn: Mar 12 Corn closed at USD6.71 1/2, up 17 1/2 cents; Dec 12 Corn closed at USD5.68 1/2, up 6 cents. Corn made up some lost ground on soybeans as funds came in for an estimated 13,000 lots on the day. Persistent rumours that China has bought several cargoes of US corn in the past few days, and that their corn stocks are in fact significantly lower than official levels encouraged buying. Domestic prices there are said to be far higher than they are in the US, pushing the equivalent of USD10/bu. export inspections of 36,246 million bushels were well above trade expectations. Wheat: Mar 12 CBOT Wheat closed at USD6.52 3/4, up 14 cents; Mar 12 KCBT Wheat closed at USD6.91, up 12 cents; Mar 12 MGEX Wheat closed at USD8.10 3/4, up 9 cents. Corn and the size of the spec short in Chicago supported wheat today as did reports that France may have lost almost 2 MMT to winterkill. Russia has exported 21.5 MMT of grains so far this marketing year, and will probably not ship more than 26 MMT this season say IKAR. Oklahoma got some useful rains over the weekend but most of Kansas largely missed out. 12/03/12 -- EU grains finished mostly higher with front month Mar 12 London wheat up GBP0.25/tonne to GBP166.25/tonne, with other months adding GBP2.20-2.40/tonne. Mar 12 Paris wheat expired down EUR2.50/tonne to EUR217.50/tonne, new front month May 12 was however EUR3.00/tonne higher at EUR211.75/tonne. Fresh news was pretty thin on the ground. US corn continues to find support from reports of Chinese buying (as yet unconfirmed) and the tightness in supply of old crop. New crop US corn is less steady with likely the highest plantings for 75 years in the wings and sharply higher than normal temperatures in the Midwest looking like getting spring plantings off to a very timely start. "Oklahoma wheat growing areas benefited from heavy soaking rainfall last week, but the top US wheat state Kansas mostly missed out," say Martell Crop Projections. "Rainfall in the US bread-basket has been much higher than last year, due to a more active subtropical jet stream across the Southern Great Plains. Another wave of showers is predicted later in the week in the Southern Great Plains, though the moisture would be rather light, .25 to .40 inch amounts with scattered coverage," they add. EU wheat is emerging from winter dormancy in pretty good shape in many places, although Agritel suggest that 1.9 MMT may have been wiped off France's production potential this year due to winterkill. 12/03/12 -- Predictably, before the ink is even dry, Friday's USDA report is fish & chip wrappings and we are now all waiting to see what they have to say about prospective plantings at the end of the month. 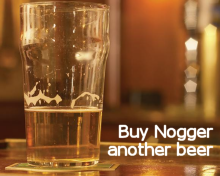 With prices where they currently are US growers are spoilt for choice. Much of the US will experience temperatures well above normal during the next two weeks with highs in the low 80's on the cards by midweek. Farmers will be itching to get their crops in nice and early by the looks of it. That should maximise spring crops yield potential unless Mother Nature turns nasty with an April frost. A scenario not unknown. The overnights finished mostly a tad lower with the exception of nearby corn which was 2 1/2 cents firmer. Crude is down sharply with Brent losing around USD1.60/barrel and NYMEX falling almost USD2.00/barrel as tensions between Iran and the West ease a little. News that China has just unveiled it's largest trade deficit in at least a decade last month hasn't helped ease fears of slumping growth hurting demand for crude. As yet there has been no confirmation of the rumoured Chinese buying of US corn that dragged the market higher on Friday despite a bearish slant to the USDA numbers for corn. Customs data shows that China imported 3.83 MMT of soybeans in February, down 17% from the 4.61 MMT brought in in January. Early calls for this afternoon's CBOT session: Beans flat to down 2 cents, corn mixed up 2 to down 3 cents and wheat flat to down 2 cents. 12/03/12 -- Rapemeal prices on the continent show little change today, but remain fully steady despite losses in Chicago soymeal on Friday night. 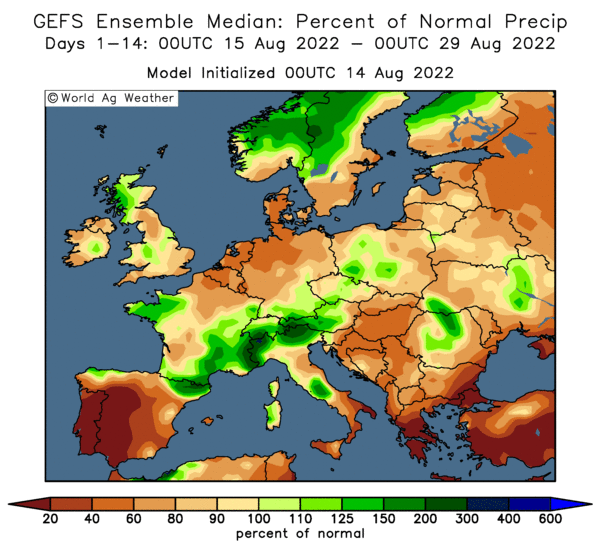 12/03/12 -- French analysts Agritel estimate that 1.9 MMT may have been wiped off this year's wheat harvest there due to winterkill losses in the recent deep freeze (although with the sun blazing in you could be forgiven for thinking it was months ago). This information is based on a survey of over two thousand French farmers, so it's bound to be kosher. Spring barley is likely to be the main beneficiary, they say. In other news from across the Channel the French government announced yesterday that it has raised its terror alert level from "Run" to "Hide". The only two higher levels are "Collaborate" and "Surrender." 12/03/12 -- The overnight market isn't doing a lot thus far. Crude is a bit easier as tensions between Iran and the West ease a little. China has revealed a USD31.5 billion trade deficit in February, the largest in at least a decade, as demand for it's goods wanes in Europe. Rain for US hard red winter wheat areas over the weekend will be beneficial, although more is needed. What a lovely weekend we had here in North Yorkshire, it was hard to imagine walking the dog in shirt sleeves (me not him) yesterday that it was snowing last Sunday! There's not much rain in the forecast this side of the weekend, but it's far too early to start using the D word just yet. Russia has exported 21.5 MMT of grains so far this marketing year, according to IKAR. I for one certainly don't believe that last week's Greek "deal" will be the end of the matter, far from it. I think that all that has been done is to dampen down the forest fire a little. Germany's Finance Minister is quoted as saying over the weekend "nobody can now exclude that Greece at a single moment may need a third bailout." Indeed, when it finally gets it's EUR130 billion "pay day loan" it immediately has to pay back EUR100 billion of that to private lenders. Look for more sideways trade in the UK wheat market this week. Interesting to note that last week was the fourth week in a row that front month London wheat posted a net change of GBP1.00/tonne or less. Also note that March Paris wheat goes off the board today so that could do anything.